Introduction: crossing the borders, John Eade and Mario Katić; Part I Creating New and Reclaiming Old Religious Homes: From the chapel on the hill to national shrine: creating a pilgrimage ‘home’ for Bosnian Croats, Mario Katić; Pilgrimages to Gökçeada (Imvros), a Graeco-Turkish contested place: religious tourism or a way to reclaim the homeland?, Giorgos Tsimouris. Part II Inter-Religious Dialogue and Intra-Religious Competition: Pilgrimage site beyond politics: experience of the sacred and inter-religious dialogue in Bosnia, Marijana Belaj and Zvonko Martić; Competing sacred places: making and remaking of national shrines in contemporary Poland, Anna Niedźwiedź. Part III Reconstructing Religious and Secular Space: From religious to secular and back again: Christian pilgrimage space in Albania, Konstantinos Giakoumis; Sterilization and re-sacralization of the places of secular pilgrimage: moving monuments, meanings and crowds in Estonia, Polina Tšerkassova; Secular journeys, sacred places: pilgrimage and home-making in the Himarë/Himara area of Southern Albania, Nataša Gregorič Bon. Part IV: Concluding thoughts, Glenn Bowman. Bibliography; Index. John Eade is Professor of Sociology and Anthropology at the University of Roehampton and Visiting Professor at University College London. His main research areas are global migration, cultural diversity, identity politics and pilgrimage. 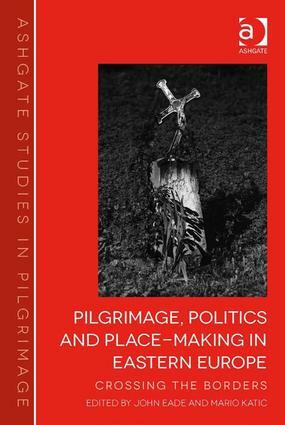 He is co-editor of Reframing Pilgrimage (2004) and Contesting the Sacred: The Anthropology of Christian Pilgrimage (1991). He has edited singly and jointly seven other volumes, and is also a single author of two books. Mario KatiÄ‡ is a research and teaching assistant at the Department of Ethnology and Cultural Anthropology at the University of Zadar. His main research areas are pilgrimage, place and space, death and memory. He is editor of Usora: past, customs and everyday life (2011), and co-editor of two further volumes dealing with pilgrimage, tourism and Bosnian Croats.